PT Tigaraksa Satria Tbk - Tigaraksa (IDX ticker code "TGKA") is a rapid expanding Indonesian company that runs in retail and distribution business. Tigaraksa has its business activities focused in distributing the 3rd party products in nationwide scale, such as consumer products, household products, and educational products. The Company also operates as a producers of milk and chocolate milk, and household products. Headquartered in Jakarta, Tigaraksa runs its business through 33 branch offices spread in 3 regions across Indonesia. Tigaraksa also supported by 2 subsidiaries, namely PT Blue Gas Indonesia and PT Tira Satria Properti. As of December 2014, 37.31% of its shares are held by PT Penta Widjaja Investindo, 30.57% by PT Sarana Ledaun, 25.33% by PT Widjaja Tunggal Sejahtera and 6.79% remaining shares by investor and public shareholders. In term of financial performance, Tigaraksa succeeded in posting excellent financial performance in 2014. According to Tigaraksa's Annual Report 2014 as cited by JobsCDC.com, total sales revenues of Tigaraksa in 2014 continue to grow by 15.42% to Rp 9,463 billion from Rp 8,198 billion in 2013. Tigaraksa’s comprehensive net profit in 2014 amounted to Rp 165.20 billion, up by 23.41% compared to Rp 133.86 billion in 2013. Single with the maximum age of 25 years old. Background in Bachelor Degree (S1) any major with GPA ≥ 2.75 (of scale 4.00). Good computer literacy, minimum Microsoft Office. High motivation, creative and eager to learn. Willing to be posted outside Java island. JobsCDC.com now available on android device. Download now on Google Play here. Please be aware of recruitment fraud. The entire stage of this selection process is free of charge. 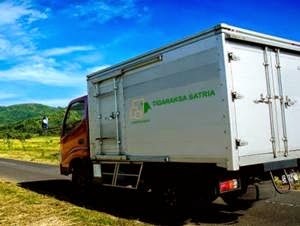 PT Tigaraksa Satria Tbk - Fresh Graduate Management Trainee Program Tigaraksa February 2016 will never ask for fees or upfront payments for any purposes during the recruitment process such as transportation and accommodation.